with those in mainstream Judaism. This article explains the basic structure of the calendar employed by talmidim (disciples) of Yahoshua as distinct from that utilized by rabbinic Judaism. Calendars play an essential role in the cohesion of communities. It is not our purpose here to persuade or to interfere with other communities, but to articulate fundamentals of our own practice, primarily for our own members and, to a lesser extent, for others who inquire on their own initiative. Let the reader note at the outset that the entirety of this brief article is but the barest introduction. The purpose here is merely to describe the basics of what we do and why with a little historical source background. A thorough treatment would take several hundred pages–in fact, volumes, given the complexity and multitude of opinions. Jews knowledgeable about the calendar, particularly astronomers, are aware of the fact that the one commonly in use today is defective. Among its deficiencies, this calendar, a continuation of the one instituted under Hillel 2nd, president of the Sanhedrin in the 4th Century CE, now sometimes imposes leap years prematurely. Having been employed far longer than originally intended, its mathematical formulae no longer meet the target date criteria of its creators. It now delays the commemoration of the biblical holidays by a full month on a rather regular basis. In contrast, the commencement of each month and each year on our calendar is fixed directly to the lunar and solar cycles. It is dependent both on the ongoing celestial observations of the present and the catalogue of those past, far into antiquity. When ancient Israel took possession of the Promised Land, celestial observations were corroborated with monitoring the readiness of the Holy Land’s barley for harvest. In this way, the agricultural themes of the biblical holidays remained intact as parallels to their spiritual themes. During the Old Testament period, Israel cycled from piety to neglect and apostasy–from restorations to temple destruction and desecration, back to reformation and so on. By the dawn of the New Testament era, Judaism was fractured into Pharisees, Sadducees, Essenes and other sectarians. Not all maintained the same calendar. The Pharisees and the Sadducees disagreed as to when to observe Shavu’ot (a.k.a. Pentecost). The Qumran Jews, from whom we get the Dead Sea Scrolls, had their own solar calendar. With the destruction of the Second Temple by the Romans in 70 CE, the Pharisaic strain of Judaism proved most resilient. Its decendants negotiated permission from Rome to maintain a Sanhedrin to govern purely religious Jewish affairs, one of which was the maintenance of the calendar. The Patriarch and the Calendar – In the days of the Temple the calendar used to be announced by the Sanhedrin. Later it was announced by the Patriarch and the Bet Din. The people did not have access to chronometric tables by which they could calculate seasons and dates; they were guided by these official announcements which the Patriarch would transmit through emissaries dispatched to every part of the Diaspora. There were, however, a considerable number of Christians who also waited for the Patriarch’s calendrical information. For a great many Christians still observed the holidays common to Judaism and Christianity, especially Passover (Easter), at the same time as the Jews, just as many of them observed the Jewish Sabbath rather than the Christian Sunday. This dependence on Judaism irked the Christian clergy, and about the middle of the fourth century they prevailed upon the Roman government to forbid the Patriarch to send emissaries with such information. To avoid having Jewish life sink into chaos, the Patriarch of that day made public the rules governing the Jewish calendar. From then on any mathematically-minded man in every diaspora community could and did arrange the years, months and holidays according to fixed formula. The Last Patriarch – The family of Hillel long continued as Patriarchs to rule over the Jewish people; generation after generation, the Patriarch at his death was succeeded by his son. Unfortunately, when Gamaliel VI died, in 425, he left no son to succeed him. No doubt there were relatives, one of whom should have been chosen. But which one? The choice, it seems, had to be made by the Roman government. There was delay; and in the meantime some Christian bishops prevailed upon the emperor to discontinue the Patriarchate altogether. In 429, the Roman government announced the abolition of the office. Though Grayzel offers a glimpse of the political scene which gave birth to the present Jewish calendar, his comment that the Beit Din “made public the rules governing the Jewish calendar” is easily misconstrued. This is because, up to that time, the calendar was based directly on celestial observation and inspections of the young barley crop in Israel. These observations were meticulously catalogued and correlated. Armed with a tabulation of these data spanning centuries, ancient astronomers could model celestial phenomena with mathematical equations, enabling them to predict lunar cycles and other celestial events far in advance. This allowed a new month to be accurately reckoned even when the weather prevented direct observations. However, the observations drove the math, not vice versa. The Beit Din’s provisional calendar now relied entirely on the mathematical model to the exclusion of celestial observation. Neither was there any explicit provision for recalibrating this purely mathematical calendar with the heavens. 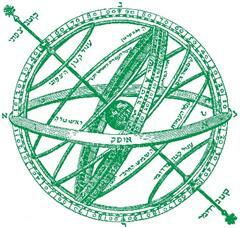 It is highly doubtful the Beit Din envisioned its calendar measures would be in force for nearly two millennia. By the tenth century CE, it was clear to some that “Hillel’s calendar” needed refinement. In 921 CE, Aaron ben Meir, while presiding over the Judean Sanhedrin, announced a calendar reform that, naturally, would place the holidays on different days than those prescribed by Hillel’s calendar. Thousands adopted this reform. However, the Jewish academic communities of Babylon, in part represented by Saadia ben Yosef (Saadia Gaon), strongly opposed Meir’s proposition. Both authorities had considerable influence and the issue threatened their cohesion. In the end, Babylon won out, and Judaism has been loathe to court the fragmentation that could well result from serious calendar reform discussion, preferring to defer the matter to Messiah. In addition to the long-term drift of the popular Jewish calendar off the celestial clock, it has other features to which we take exception. Among these are what are called dachiyot or postponements. These artificially delay dates in order to accommodate the sensibilities of certain oral traditions. For example, Yom haKippurim (Yom Kippur) is prevented from occurring on a Friday or a Sunday in order to circumvent challenges in observance of the weekly Shabbat. The last day of Sukkot is prevented from occurring on a Shabbat. To accomplish this, Yom Teru’ah (commonly known as Rosh haShanah) is fixed to either a Sunday, a Wednesday or a Friday. Since Yom Teru’ah is the first day of Eithanim (a.k.a. Tishrei), the seventh month, this convention shifts the calendrical month off the natural lunar month. Such adjustments not prescribed in the Bible are unacceptable to us. So much for what our calendar does not do. We next consider how it does function and why. The calendar of the Bible is luni-solar. Individual months are fixed strictly by the lunar cycle and most years in the holy calendar have twelve months. However, since twelve of these months (averaging approximately 29½ days each) add up to about eleven days shy of a solar year, a thirteenth month is intercalated (added) to some years re-synchronize the calendar with the solar year. Were the calendar purely lunar, the holidays would drift from season to season, as they do with the Islamic calendar. In the biblical calendar, it is crucial that the holidays remain in sync with the seasons because their themes are connected with agriculture. Passover corresponds with the barley harvest, Shavu’ot with the wheat and Sukkot with the autumn ingathering. Without alleging perfection in our interpretations, it cannot be overstated how critical the calendar is to the cohesion of a community. Without it, the holy appointments God established for his people to celebrate in common would be impossible to observe and many of our most joyous and memorable occasions would be shared no more. Much of our vision for the future and the hope it holds would also be lost as a direct result. Underlying our approach to the calendar is our belief that God made it practicable without elaborate technology, including telecommunication with Israel. Such modern aids are invaluable when attempting to understand and reconstruct the calendar after long periods of neglect or misapplication. However, God would not give so central an instruction that could not possibly be performed in distant parts of the habitable world, dependent on tools unavailable to the ancients. And Elohim said, “Let luminaries be in the expanse of the heavens, to divide between the day and the night. And let them be for signals and for appointments and for days and years. And let them be for luminaries in the expanse of the heavens, to give light on the earth.” And it was so. And Elohim made the two great luminaries: the great luminary to rule the day and the small luminary and the stars to rule the night. “Signals” and “appointments” are typically rendered as “signs” and “seasons,” obscuring the meaning. The appointments are the eyd(wm (mo’edim), the same word identifying the holidays enumerated in Vayikra (Leviticus 23). So we are informed in the opening verses of the Bible that the celestial bodies form a clock by which we may determine when the appointed holy days occur. He made the moon for appointments (mo’edim); the sun knows his going down. Once we recognize the celestial bodies form a clock, the next challenge is how to read that clock. Before we can ascertain when the sacred month begins, we must have a precise, working definition of a day for our calendar. The Biblical day as a twenty-four hour period begins with br( (erev) or evening. Both Hebrew and English terms are broad, encompassing late (generally) afternoon to twilight. Alternately, the Bible refers to $m$h )wb, the “descent of the sun.” However, this phrase is also broad. Tracking the calendar requires refinements to the definition of a day not supplied explicitly by the Bible. (Reading from a translation alone, one will be misled in this regard). From holy scripture we can isolate the beginning of a day to around sundown. However, we have to draw from practical experience to be more precise. We begin our day at sunset, when the top of the sun’s orb slips over the flat horizon, under the assumption that both the observer and the horizon are at sea level. There are a number of reasons for this reckoning. First, and most important, the moment of the sun’s disappearance is instantaneous. As we shall see, the calendar is governed by various celestial phenomena and how their occurrences intersect one another. If these intersections are periodic rather than instantaneous, blurred rather than precise, the demarcation between one date and another or one month and another become uncertain. Any such uncertainty then imposes itself on the determination of which day is a high day and which are not. Second, sunset can be readily calculated both for one’s own locale and for remote locations, in particular Jerusalem. Those living in on the eastern slopes of mountains or in regularly overcast locations cannot always, if ever, observe sunset or a number of its related phenomena directly. However, they can always resort to calculations. These calculations serve both the needs of the present day as well as the predictions essential to advance planning of the travel historically entailed in pilgrim feasts. Finally, for those who can see the earth’s horizon, the instant of sunset is readily observable, even by a child. Some aspects of the calendar are difficult to understand, let alone determine. Not all of them need be. Some need to be accessible to the youngest among us so that they can participate in and take responsibility for the instruction to observe from the tenderest, most impressionable age, at the most basic levels. Some will ask about the traditional candle-lighting times ushering in Shabbat which precede sunset, or the appearance of three stars after sunset by which the end of Shabbat is often reckoned. These are margins on each side of Shabbat to protect holy time from encroachment. However, sunset itself is our demarcation between one day and another. Some believe a day begins at twilight. We are familiar with the reasoning behind this and the scriptures used to support such an interpretation [e.g. D’varim (Deuteronomy) 21:22-23; Yahoshua (Joshua) 8:29; Nechemya (Nehemiah) 13:19] but do not find it compelling. Detailed treatment of that question is found in a related article. One rather esoteric component of any calendar is a date line. For obvious reasons, it would be senseless to have a location where one could walk between neighboring villages and being crossing from one day to another. The ideal would be a longitude passing through nothing but open ocean, but none exists. However, there is a serviceable meridian in terms of not bisecting mainlands or inhabited islands. The International Date Line is based loosely on the impractical antimeridian of the arbitary Prime Meridian, which the British established as passing through Greenwich, England. Since the resultant longitude 180̊ passes through the easternmost portion of mainland Asia, it was gerrymandered about 300 miles eastward (the equivalent of about an hour-and-a-half) to pass through the Bering Sea, back westward to accommodate the westernmost Aleutians 300 miles west of the antimeridian, then eastward again in the South Pacific. While adjustments an hour one way or the other may seem conservative and reasonable, they do raise the question as to who decides what day is the Shabbat and how arbitrary such a determination might be. The International Date Line is subject to change and is, today, highly contorted. In 1995, the island nation Kiribati opted to move the portion in their locale eastward such that it is now 30̊ or four hours off the antimeridian. In total, there is presently a five-hour-wide swath in the Pacific where various places reckon the same natural day as a different day even though on the same meridian. Even with a uniform date meridian, communities in close proximity to opposite sides of any date line are going to observe the same sun simultaneously near its apparent zenith, yet reckon themselves simultaneously on different days, Shabbat included . The question is not whether the non-observant will suspend travel and commerce across the line during the extent of the adjoining Shabbats and other holidays, but whether the observant will. The custodians of the civil week are not, outside Israel, the custodians of the Shabbat or the other holidays. To illustrate the halachic dilemma, when Samoa (the independent state) reverted to reckoning themselves west of the date line, they skipped what was then locally reckoned as a Friday. As indicated above, for us, the determination of a halachic date line is driven by where one can walk in inhabited land. There is but a 16 mile swath in the Bering Sea that is not bisected by an historically inhabited island. Within that, no meridian misses all land masses. However, longitude 168̊27' west works best, passing only through one island–the generally most rugged, uninhabited portion of the sparcely inhabited Aleutian Island Unmak, as seen at right. (Its mutually-isolated habitations are the village of Nikolski about sixteen miles west of the meridian and the Fort Glenn facility about twenty-four miles east of the meridian.) To the north, the closest proximity of inhabited lands on each side of this meridian is the approximately twenty-three miles between mainland Alaska and Little Diomede Island. To the south, the most proximate, inhabited lands on each side are measured in hundreds of miles (e.g. 360 miles between the French Frigate Shoals and Midway). Antarctica is obviously excluded from consideration. The longitude passing through Jerusalem’s Old City (35̊13'53" east) serves as our halachic prime meridian. While it is convenient to have the halachic date line far from the prime meridian, there is no necessity that it be precisely opposite. “At the end of the day,” of course, such a date line is not really halachic if not followed by practice, and we are not in the business of determining the affairs of Pacific islanders. The Biblical month begins with what it calls the #dx (chodesh) or new (month). The Hebrew root word for chodesh means “new” and chodesh itself can refer to the month as well as to its commencement. Because the Bible does not more explicitly define this term and, because of periodic religious neglect, disputes have existed within Judaism since before the New Testament era as to its precise definition. Some have said it is what the 12th century sage Moshe ben Maimon (Maimonides) called the dlm (molad), known in English as lunar conjunction. Others, such as the Karaite Jews, assert that the new moon is the first visible crescent. As with so many issues of Biblical interpretation, we consider the most ancient Jewish writings available and examine the practical application in a multitude of environments. Perhaps the most ancient witness in this regard is the New Testament era Jewish philosopher, Philo of Alexandria. He wrote of conjunction beginning the sacred month in The Special Laws, II, XI, 41 and II, XXVI, 140. To this day, the molad of Tishrei governs the rest of the common Jewish calendar. On the application side, we find conjunction a significantly more reliable indicator than the first visible crescent. It occurs at a precise, predicable instant which can be calculated far in advance. The appearance of the first visible crescent, though it can usually be predicted, is regularly impossible to determine in advance of the actual sighting. It typically appears just after sunset. Therefore, those relying on the first visible crescent to mark a holy day cannot always determine if the day is, indeed, holy until it is already upon them. On any given month, the appearance of first visible crescent varies around the globe by well over twenty-four hours. For this reason, only a sighting from Jerusalem is considered valid. Yet, from antiquity, long before Talmud and the popular calendar in use today, the diaspora extended as far away as China. Until the age of telecommunication, there was no way of heralding such a sighting in time for it to be of any use to such far-flung, observant communities. Instantaneous is not soon enough anyway, since the new day arrives hours earlier in lands to the east. Nor was there such a need. Everyone had access to the same celestial clock. For us, the month begins with the first sunset at Jerusalem’s Old City following lunar conjunction (though the details following must be noted). Though that day begins earlier in East-Asia and later in the Americas, it is the first day of the month and has been predictable for millennia. However, there are different ways to measure conjunction and, since they each yield different results, some additional explanation is necessary. In this regard, we consider three definitions of lunar conjunction. The first is commonly referred to as the “astronomic new moon.” This is the instant when the centers of the earth, moon and the sun line up on the same plane that is perpendicular to the earth’s orbit. That perpendicular plane is known as a “celestial longitude” and the plane of the earth’s orbit is known as the “ecliptic.” Since the alignment in this scenario involves the conjunction of the center of the earth, it is “geocentric” reckoning. This is the new moon tabulated by naval observatories and identified on various commercially-available, printed calendars. The two other lunar conjunction definitions of concern to us are both topocentric; that is, they represent when a particular point on the earth’s surface aligns with the sun and the moon. One can measure this moment relative to the ecliptic or relative to the earth’s equator. It is the latter of these–topocentric equatorial conjunction–from which we determine the new month. The point on the earth’s surface used for this determination is Jerusalem’s Old City. As can be imagined, this moment can occur before, after or coincident with astronomic lunar conjunction. Consolidating the above, we begin the month with the first sunset at Jerusalem’s Old City after its meridian aligns with the centers of the sun and the moon. That sunset marks the beginning of the first day of the month, and that day is reckoned as one eastward and westward to the halachic date line. Thus, even though Jerusalem is the calibration mark, the month, as the day, is beginning hours earlier to the east. This month shall be the chief of months for you. It shall be the first of the months of the year for you. Sh’mot 13:4 refers to this as the month of Aviv, which occurs in early spring. Aviv refers to grain–in this case barley–which though not fully ripe, is mature enough to be ground and sifted when roasted. Torah specifies that no grain is to be harvested until an offering of the first grain is made by the temple priests. This offering occurred during the seven-day Feast of Matzot, which begins on the fifteenth of Aviv. Thus, if the month of Aviv was reckoned too early, there would be no barley suitable for the first fruits offering during the festival. If reckoned too late, the farmers would be forced to delay their harvest by a month. Connections between the first month and the barley harvest are found in Sh’mot (Exodus) 9:31, Vayikra (Leviticus) 23:10-11, Yahoshua (Joshua) 5:11-12]. These are corroborated by the timing of Moshiach Yahoshua’s ascension, he being a firstfruit [1 Corinthians 15:20,23]. Specifically, these together inform us that Yom haNafat ha’Omer–the day of the barley firstfruit offering–is on the first day of the week that occurs during the Chag haMatzot. Barley grows wild in the Holy Land, as well as under cultivation. A hardy species, its rate of maturation is governed more by the amount of daylight than the varying precipitation and temperature from year to year. Based on actual, annual inspections of the Israeli barley maturation, ancient and contemporary, we find a consistent correlation between the barley ripening and the vernal equinox such that the first calendrical month can be determined directly from the equinox. More particularly, Aviv is the first month of the year when there will be aviv barley ready for Yom haNafat ha’Omer, which, at the earliest, can occur on the fifteenth of the month. This means it is unnecessary for aviv barley to be present by the first day of the first month; it only need be present no later than two weeks later. If it is, that month is the first month of the new year. Our approach as it relates to the equinox is found in Rashi’s and Huna’s instructions that the fifteenth of first month that is fully after the spring equinox is the fifteenth of the month of Aviv. The first century Jewish historian Yosef ben Matityahu haKohen (commonly known as Flavius Josephus or Joseph the Traitor (c. 38 - c. 100 CE), was a member of the priesthood. Having witnessed the various temple proceedings such as the aviv barley search and subsequent cutting of the barley omer essential to the first weeks of Biblical new year, he also attests to a consistent relationship between the Biblical new year and the celestial signs. In no way does this make barley inspections irrelevant, but provides a direct way by which those far from the Holy Land may independently determine the head of the sacred year. Thus, we view these two phenomena, not as competing or mutually exclusive, but as complimentary, confirming one another. One additional difference between our calendar and that of mainstream Judaism is that we count Shavu’ot (Pentecost) from the first day of the week falling after the fourteenth of Aviv rather than being fixed on the sixth of Sivan. A more detailed explanation of this is found in our Shavu’ot article. For those of us who accept Yahoshua as our Messiah, the New Testament provides some interesting data with regard to the calendar. Contrary to Catholic myth, the New Testament clearly tells us that Yahoshua was crucified on a Wednesday afternoon, concurrent with the slaying of the Passover lambs. This places the daytime portion of the first day of the Chag haMatzot (Feast of Matzot) on a Thursday that year, which, according to Jewish tradition (relating to Shabbat haGadol), is how the days of the week fell relative to the Passover of the Exodus. Luke identifies enough political officials contemporary with the crucifixion to narrow the event to between 27 and 37 CE. The data and tools available to us enable us to identify a year when the Passover, based on the criteria discussed herein, fell as described. Western moderns, having passed through the Dark Ages and now dependent on sophisticated gadgetry, often view ancient peoples’ abilities to read the heavens with some incredulity. How could a Jew in Samarkand, for instance, possibly know the relative time of sunset in Jerusalem? Yet the Bible documents the practice of Hebrews in the diaspora praying toward Jerusalem. Ancient monuments on all the inhabited continents attest to celestial observation skills far surpassing the average modern. The Polynesians are well-known to have navigated across hundreds of miles of open ocean by the stars. The Antikythera Mechanism provides a startling attestation of the ancient Greeks’ skill with celestial chronology. The question is not whether the celestial clock performs as the Bible purports nor whether the ancients could read it but whether or not we are being trained to read it. The calendar ascribed to Hillel 2nd has played a vital role in the enduring cohesion of the Jewish people. Yet it was never his wish that the calendar remain rigidly fixed to mathematical formulas and extrapolated for nearly two millennia. It was designed for an interim when with the people were exiled from the Holy Land and its agricultural phenomena, scattered in diverse environments and only partially familiar with the celestial signs. Today, neither of these conditions remain. Jews again populate the Holy Land and we have an abundance of readily-available astronomic data as well as sophisticated tools with which to interpret that data. Even so, we must bear in mind that calendar reform is a rigorous undertaking and, without consensus, a certain recipe for fracturing. When people cannot agree on their calendar, they cannot agree on their days of worship. Stewardship of the calendar is, thus, an essential function of community survival. The calendar is posted here as a quick reference and for the benefit of students and others whose teachers or supervisors request verification for requested absences when they vary from the otherwise-published dates. To the extent we err, we look forward to the time when the Eliyahu will restore all things. Excerpts of this article may be quoted with written permission. Grayzel, Solomon, A History of the Jews, (1947; Philadelphia: Jewish Publication Society of America, 1959), pp. 217-18. The Life of Flavius Josephus, ch. 10, ¶5 [The particular relationship Josephus describes between the first month of the year and the constellations (“when the sun in in Aries”), though true for his era, is no longer valid due to precession of the equinoxes. This citation of Josephus is not to suggest the proper celestial calibration today, but to demonstrate that the Jewish priesthood of the 1st century CE was tracking the calendar in its astronomic as well as agricultural context.